Growing up, we only had the cranberry sauce straight from the can. We would open the can and literally dump it in a bowl and call it good. No one hardly touched the cranberry. No surprise there! It was one note and boring. 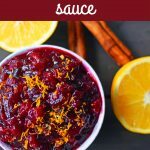 Years ago, I started making Fresh Cranberry Orange Sauce from scratch and suddenly everyone was clamoring for the sauce. It was a lovely accompaniment to the turkey and using fresh whole ingredients made all the difference. I will never ever go back to canned again. 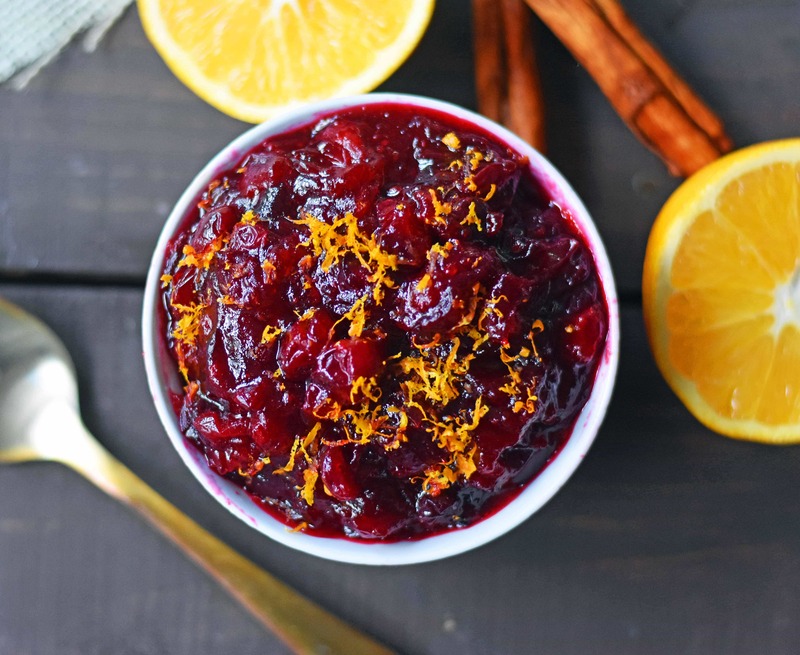 So how do you make homemade Fresh Cranberry Orange Sauce? You may be surprised how ridiculously easy it is to make. 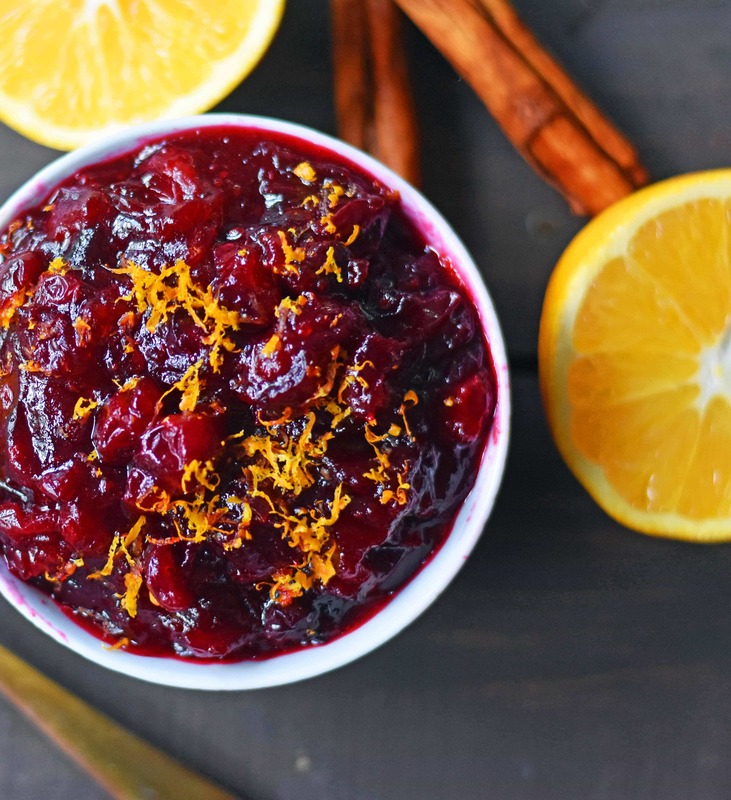 This holiday sauce starts off with fresh cranberries, sugar, orange zest, and a touch of cinnamon. It is slow-simmered on a stove until the cranberries began to burst and give off their natural juices. The smell in the house is downright heavenly and so festive. 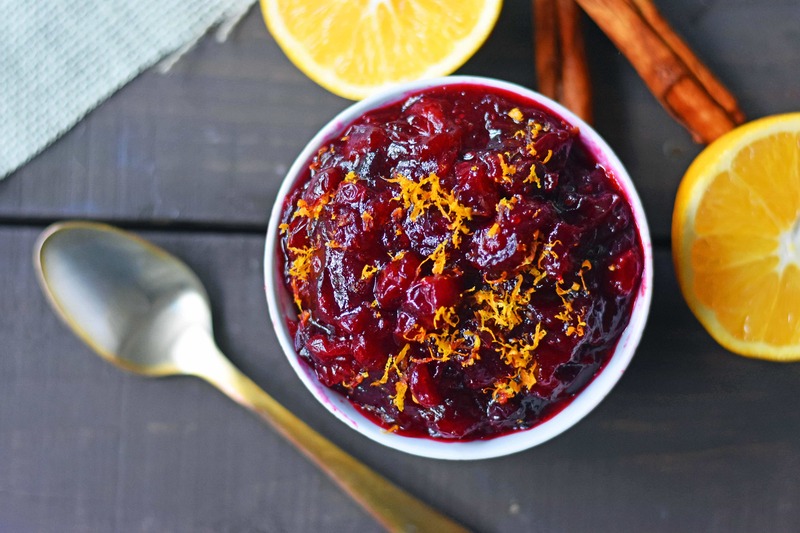 This homemade cranberry sauce will transform your holiday table. It is made in less than 15 minutes and is worth the minimal effort and time. 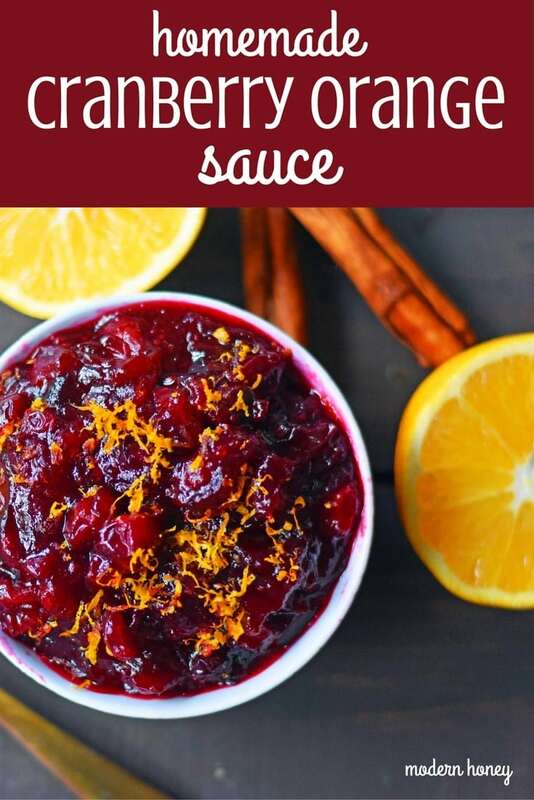 A simple homemade cranberry orange sauce. In a medium saucepan, cook cranberries, sugar, orange juice, and orange zest over medium heat. Add cinnamon stick. Let cook for 10 - 12 minutes or until cranberries began to burst and soften. Once the sauce has thickened, remove from heat and carefully remove cinnamon stick. Transfer sauce to a serving bowl, cover, and chill. For all of the Modern Honey’s Thanksgiving Recipes — click HERE.